Rangers managed an extraordinary Tuesday as three players were either signed or bid for, while one officially exited. In came Angers’ Lassana Coulibaly on a one year loan, Roma’s Umar Sadiq also on a one year loan, and various agencies such as the Evening Times reported Steven Gerrard has given the green light to a £3M bid for Millwall’s outstanding defender Jake Cooper. Last but not least, defender Bruno Alves joined Parma as a free agent. As revealed some days ago, we reported how the proposed bid of £1M for Cooper would not be enough, and it would be required to increase considerably; well maybe Mr Gerrard reads Ibrox Noise for the bid is claimed now to have at least tripled and Rangers may well finally have the last piece of the jigsaw in what might be the best signing of the window so far. 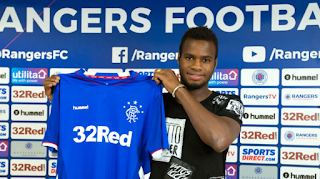 In one day Rangers have trimmed some dead wood, while seriously enhancing attacking options and now trying to take serious care of the vacancy Ibrox Noise’s Richard pointed out earlier in central defence. Indeed, up front Gerrard has gone from Alfredo Morelos, to Morelos, Sadiq and Rudden. While it’s hardly BBC (albeit that’s now a thing of the past, good luck at your new club Cris) it’s got potential. And if we add the potential three at the back, plus Malian international Coulibaly, we can safely say the squad is starting to look pretty complete. Maybe one more striker and defender would be all we’d need and that would be optional. I think Cooper would give us that extra threat at set pieces, the kind of get out of jail card on days when you cannot find a goal, four goals three assists from centre half. How many would he get here. Well pleased with signings so far. 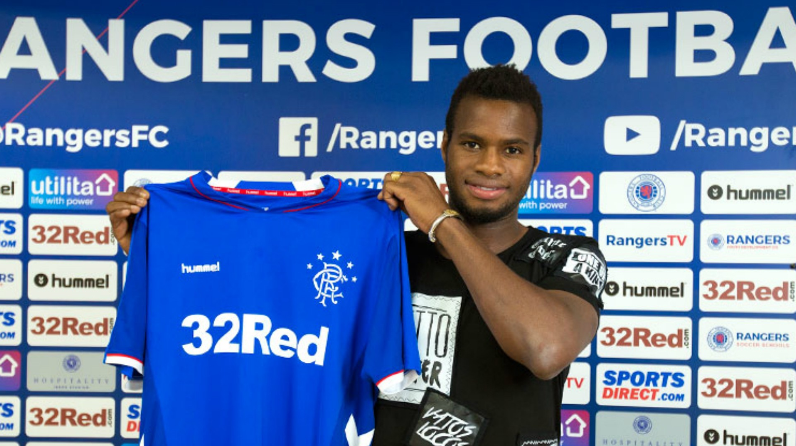 Broony's pants will be broon when this guy Coulibaly hits him. Really hope we get Cooper final piece then Let's Go. Cooper and one more striker, a hard working all rounder (like Miller was) would finish off a great summer. Two strikers isn't enough and no youth strikers getting a look in if Hardie is on loan again. I think Mark Allen is doing a fantastic job as is Stevie G. If not this year we will definitely win the title next year. Roland Harron. With you completely. Mike Allen was hammered time after time. What a Freekin job he's doing. We don't need 'Rangers' men. We NEED more professional staff. Thats why Souness and Advocaatt and now Allen and SG are going away from the old traditions which wete/are holding us back. Complete and utter respect to Dave King for refusing to be bowed by Fan Pressure. Dave king is the man behind all the good at rangers at he should get alot more credit hes been getting slammed by everyone least he stepped up when no one else would. He got Stevie G and has backed him. No one was ever going to spend 50m on rangers. Its about getting a good team for as little as possible and selling on later. Rangers is a business it's time folk realise that. Good times ahead thanks dave king. Gerrard and allan. Following what I said earlier i am now convinced that if we sign Jake Cooper and get Harry Wilson on loan we can win the title this year but I am still worried about RB. I have seen Celtic and Hibs destroy him in games.